The Girl Scouts will be holding a Recruitment Night on Wednesday, September 23rd from 6:00-8:00 pm at the VFW Post located at 200 Starr St. Please click on the link for all the details! For Boys and Girls Grades 1st through 12th. Click on the link for all the details. Join us for "Back to CYO Night"
Holy Family CYO is hosting "Back to CYO Night", Wednesday, September 16 at 7 PM at Griffin Hall. 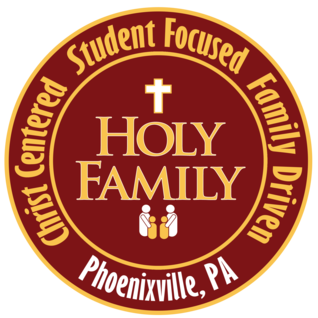 We will present information on our CYO program for new/newer parents, new coaching requirements by the State/Archdiocese, and answer questions about who/what/how/why we do things, what is happening with the Holy Family/St. Basil's merger in regards to CYO, and how you can get involved. Whether you are a new parent or an old veteran, please plan to attend. Kym Steager and Missy Hirst are organizing a yard cleanup for this Friday, August 21st from 9:00AM to 11:00AM. If you are interested in helping, please bring gloves, lawn bags, mums to plant, shovels, rakes, etc. Thank you for your help! Hola! My name is Bina Brach and I am thrilled to be teaching Spanish to the upper grades this year. I am a graduate of Rosemont College with a B.A. in Spanish and Italian. I have been teaching Spanish for 18 years, 11 of which have been in the Archdiocese of Philadelphia. I look forward to a wonderful year of Spanish learning and fun! Click on the title above for all the information! We look forward to seeing you there!